Friendly Staff, Beautiful Smiles, Welcoming Environment! Do you want to enjoy a healthy, beautiful smile and greet the world with new confidence? Braces will give you a reason to stop hiding & smile more! 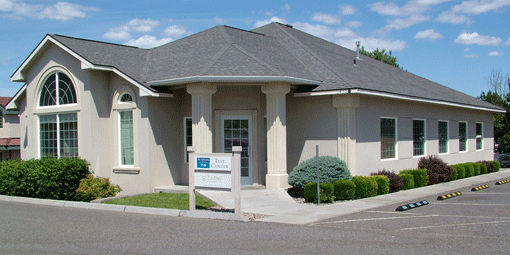 Jade Orthodontics is a Kennewick orthodontic practice committed to maintaining the highest standards of orthodontic care and providing the best possible service to our patients. Our orthodontic practice boasts state-of-the-art orthodontic equipment with a caring, professional staff in a friendly & fun environment! Dr. Jade provides braces and orthodontic services to the following areas – Tri-Cities (Kennewick, Pasco, Richland), Benton City, Walla Walla, Sunnyside, Grandview, Moses Lake, and other surrounding areas in Washington state. Get started TODAY on the smile you have always dreamed of! Browse our site to find out more about us and learn about the many benefits of orthodontic treatment at Jade Orthodontics- the best Orthodontic and Clear Correct Provider in and around the 99336 zip code! Our initial exams are FREE! Come in for x-rays & a full exam with Dr.Jade at no cost to you! We’ll transform your smile into your most brilliant feature! Call today to schedule your FREE X-Rays & Consultation!